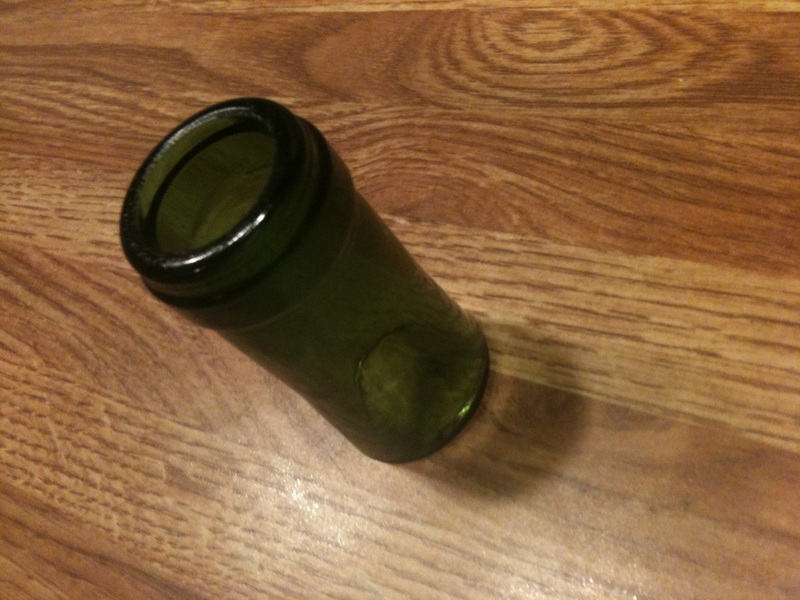 A real bottle neck slide cut from a wine bottle. 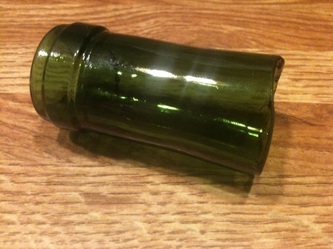 Slides are approximately 2" to 2.25" long. 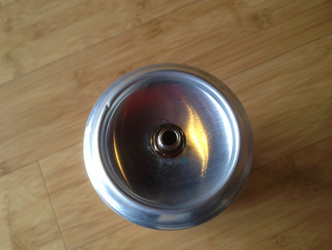 Slides have been polished to prevent sharp edges. 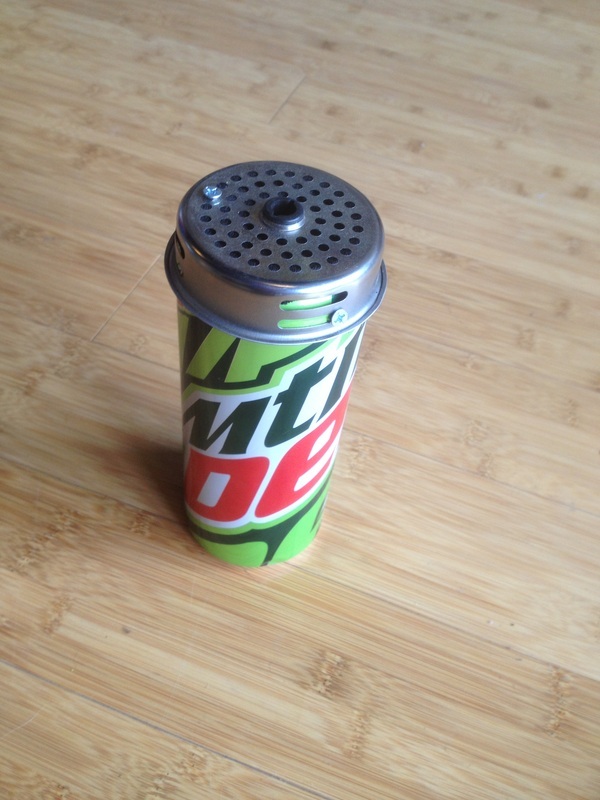 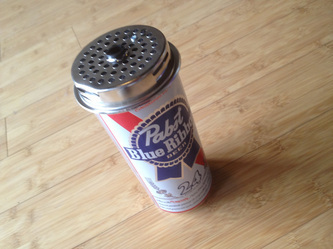 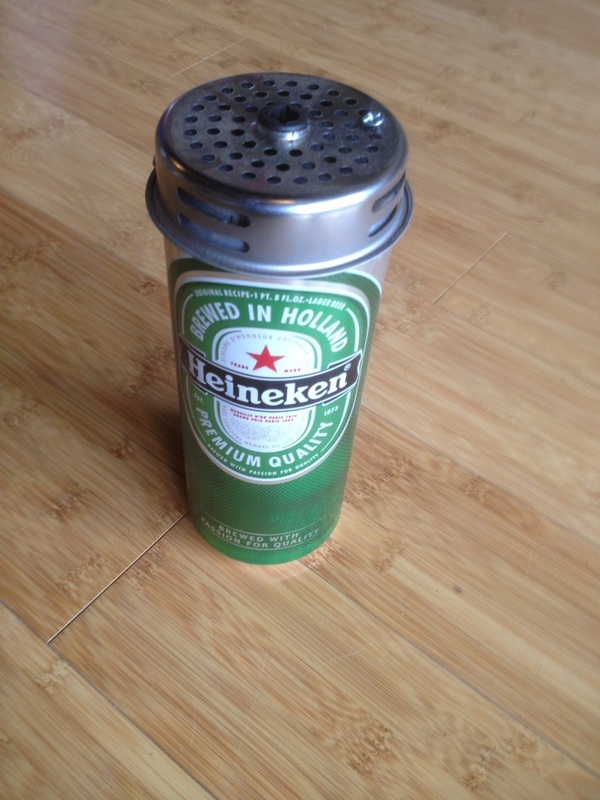 Made from a 24 oz beer can, a dynamic microphone cartridge, and a guitar jack. 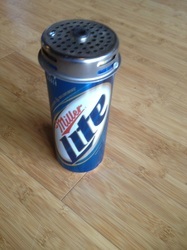 Plug right and to your guitar amp and use for the old time vocal sound or they work great with a harmonica. A great way to keep your brew cool, in style, while rocking out on your cigar box guitar. Saner CBG on one side, The Lo-Fi Project on the other. 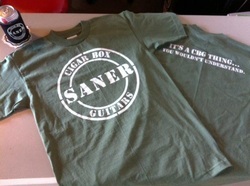 Some cool threads to go with your cool Saner Cigar Box Guitar. 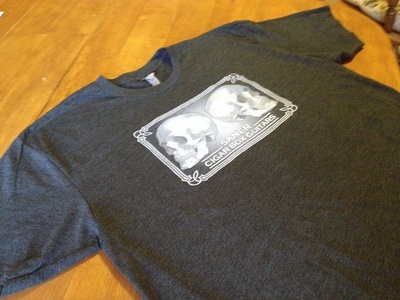 This is a quality screen printed short sleeve t-shirt made of 50/50 cotton/polyester. 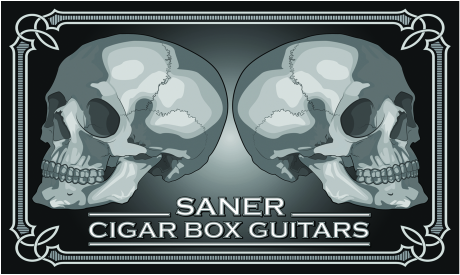 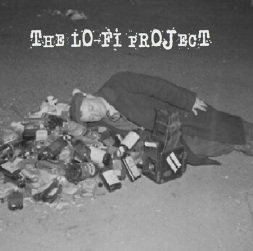 A collection of originals, classic rock and blues covers, hammered together with a lo-fi rock fuzz that you can only get with a cigar box guitar. 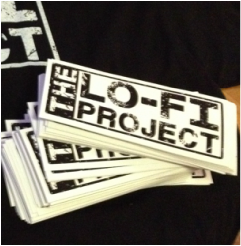 This 3 x 5 inch sticker is an Indoor/Outdoor vinyl sticker. 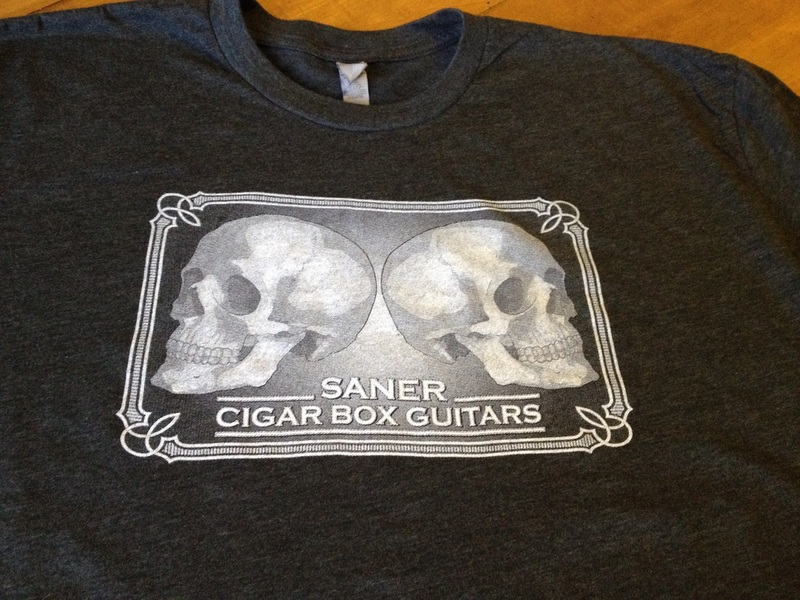 Suitable for a guitar case, bass drum, bumper sticker, or bling up your CBG. 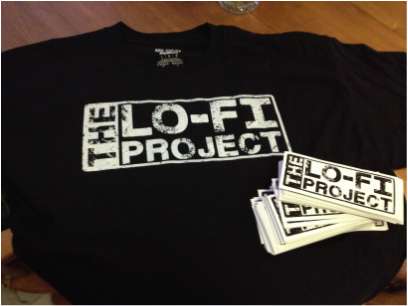 This 2 x 3 inch sticker is an Indoor/Outdoor vinyl sticker. 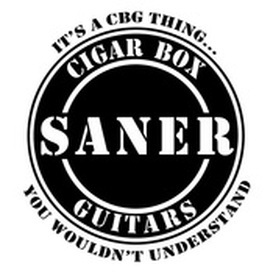 Suitable for a guitar case, bass drum, bumper sticker, or bling up your CBG. This 3.5 inch sticker is an Indoor/Outdoor vinyl sticker. 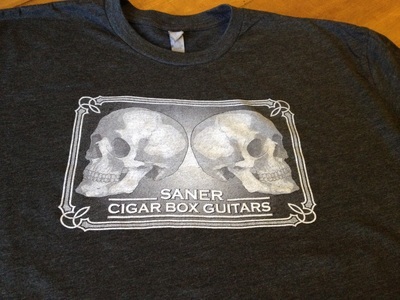 Suitable for a guitar case, bass drum, bumper sticker, or bling up your CBG. Main Street Gallery is an art and craft gallery that gives local, Ohio Valley artists a place to display and sell their work. 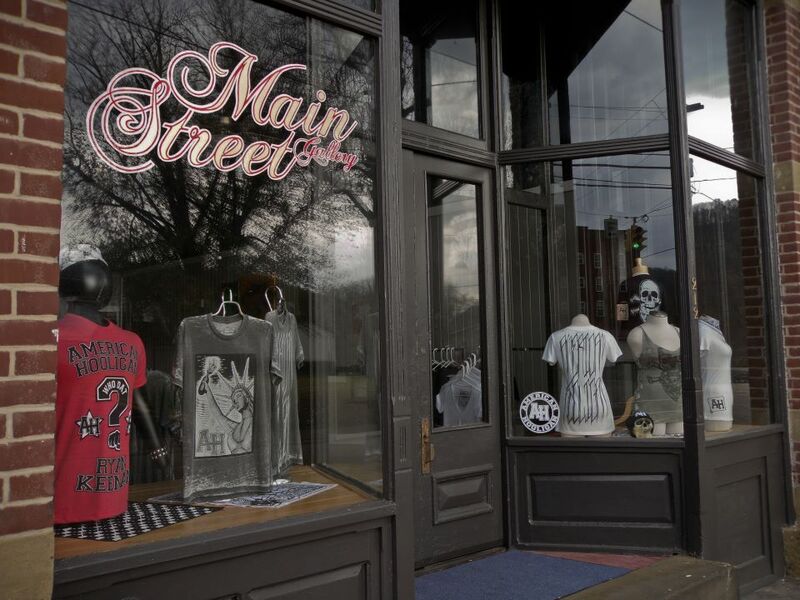 Main Street gallery is the home of American Hooligan clothing company and carries the full line of AH products. We also offer a variety of services for individuals and businesses including screen printing, vinyl decals, graphic design and much more. 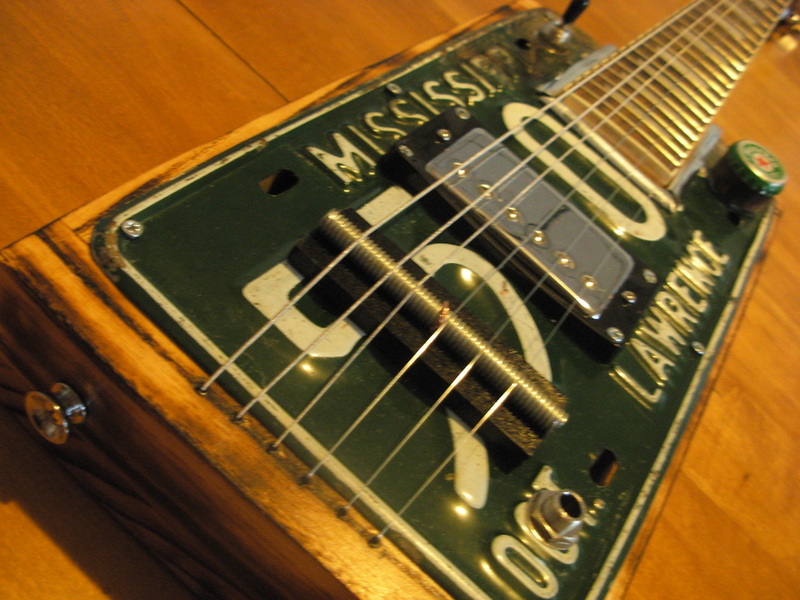 Stop in a try out a Saner Cigar Box Guitar for yourself.